Local Government and Community Development Minister, Hon. Desmond McKenzie, says no attempt will be made to interfere with the property tax exemptions churches currently enjoy. Minister McKenzie gave the assurance at the launch of the official mobile property tax unit in Port Maria, St. Mary, on February 8. A second unit was launched at Bargain Village in May Pen, Clarendon, on the same day. 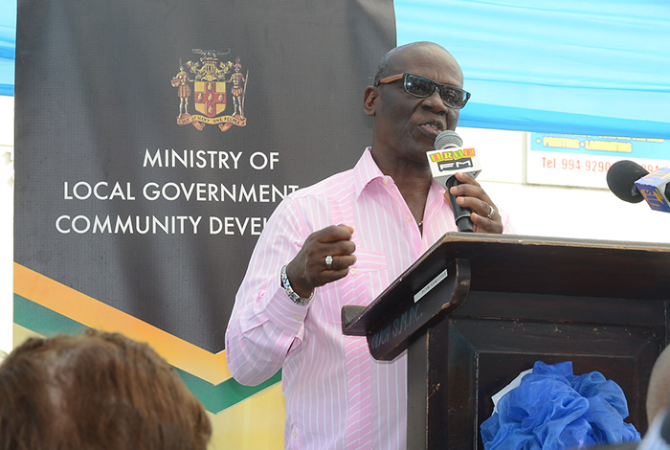 He gave the assurance at the launch of the official mobile property tax unit in Port Maria, St. Mary, on February 8. A second unit was launched at Bargain Village in May Pen, Clarendon, on the same day. Earlier this week, the Jamaica Council of Churches and the Jamaica Baptist Union expressed concern that if the church paid property taxes, the services it provides could be curtailed. “I want to make it abundantly clear that at no time was any such mention made and that what existed before in terms of property tax payment will not change,” Minister McKenzie said. Under Section 10 of the Property Tax Act, exemptions are given for all church-owned buildings such as chapels, rectories, caretaker’s cottages, school rooms or church halls, along with lands immediately attached to them, which are used as churchyard or burial grounds. The mobile units, which will travel across the island, will to make it easier for persons to pay their property taxes. The Government is owed more than $10 billion in property taxes.